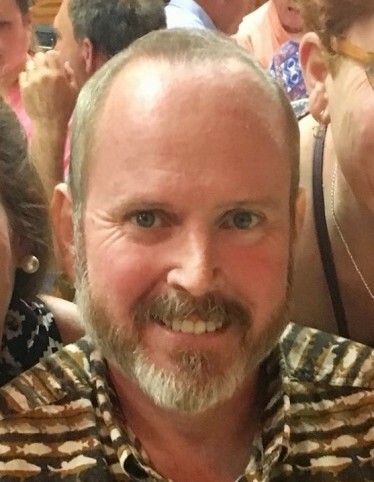 Melton Levy, Jr. “Zan”, 50, of Winnsboro passed away on Sunday, February 3, 2019. Born in Winnsboro, he was the son of the Melton, Sr. and Shirley Allen Levy. He is survived by his wife, Stephanie Cordova Levy; son, Zelick Levy; two sisters, Molly Levy Campbell (Paul) and Michele Levy Still (Robert); father and mother-in-law, Francis and Ernestina Cordova; brother-in-law, Francisco Cordova (Amy); sisters-in-law, Yolanda Duran (Mark) and Consuelo Ruiz (Chris); nieces, Kristen Keller, Lana Ruiz, and Lori Campbell (Melissa); and nephews, Antonio Cordova (Maurine), Jonathon Cordova, Gabriel Ruiz, and Nick Campbell (Patrick). Zan is predeceased by his father, Melton Levy, Sr. The family will receive friend for visitation on Tuesday evening, February 5, 2019 from 6-8 o’clock PM at Pope Funeral Home. Funeral services will be held at 11 o’clock AM Wednesday, February 6, 2019 at Sion Presbyterian Church. Burial with full military honors will follow in the church cemetery. In lieu of flowers, memorials may be made to Sion Presbyterian Church, 116 W. Washington Street, Winnsboro, SC 29180. Pope Funeral Home is assisting the Levy family.